I have hiked the Pemi loop several times in the past few years, most recently with some Boy Scouts working on their Backpacking Merit Badge. One item they were looking for was a patch to remind them of their accomplishment. None could be found in the local stores or online. I've had one made for them and I do have some extras. If you like it, the price is $7 each. Send me a PM if you are interested. Last edited by gwingdat on Sat Nov 08, 2014 10:58 pm, edited 1 time in total. Can you post a pic here with your ad? I bet you would get more interest. Thanks for the advice. I did not know how to do it when I created the post. Looks like it is working. everytime i see the outline of this I see the face in agonizing pain. Most likely from hiking the LW trail twice in a day. Perhaps its just me. Nice patch though! I still have some left if anyone is interested. This is nice. I just PM'd you for info. There was a discussion on VFTT a few months back about making a window decal version (like those 26.2 marathon ones you see all the time). Thanks for designing this! I am lowering the price for the remaining patches that I have. The price is now $5 each. Send me a note if your are interested. 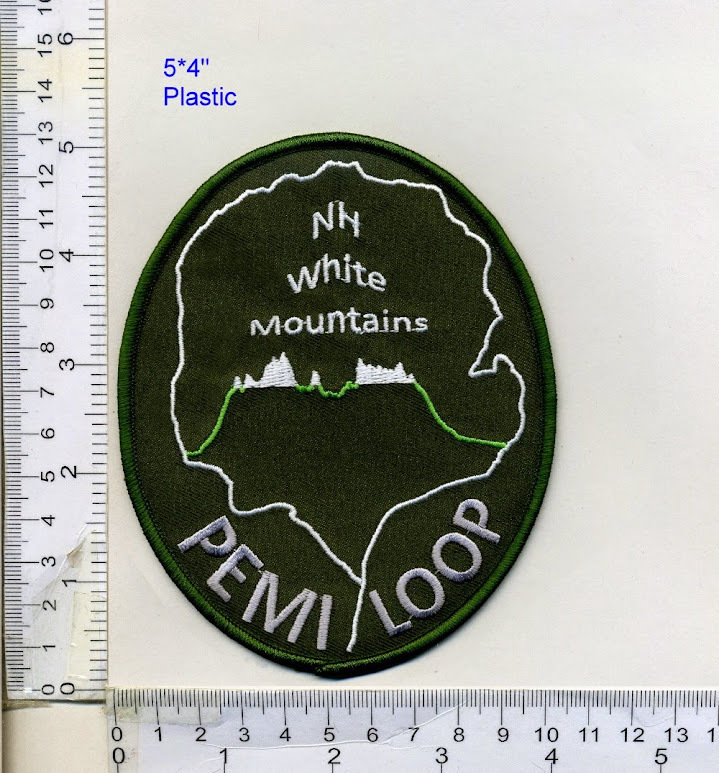 I am a Scoutmaster with a group of Scouts that just completed the Pemi Loop...do you have any patches left? We are looking for 5-7 patches.